Midsized premium SUVs in Europe are booming with an increase of 25% in the first quarter of 2016, as Mercedes-Benz finally decided to bring a competitive product to the segment and a handful of older models are surprisingly stable. That hasn’t kept the Range Rover Evoque from reclaiming the lead of the segment ahead of the Volvo XC60. The Evoque has just been facelifted and benefits with a 15% increase of sales. It likely won’t hold on to that lead until the year, as sales of the model are heavily skewed towards March as a result of its popularity in the UK market. It’s surprising to see the XC60, basically an 8-year old model (facelifted in 2014), that still manages to outsell a hot and fresh new rival. I think the Mercedes-Benz GLC will lead the segment by the end of December, and that would be a first for the brand in this segment, as the GLK has never been able to keep up with its rivals. 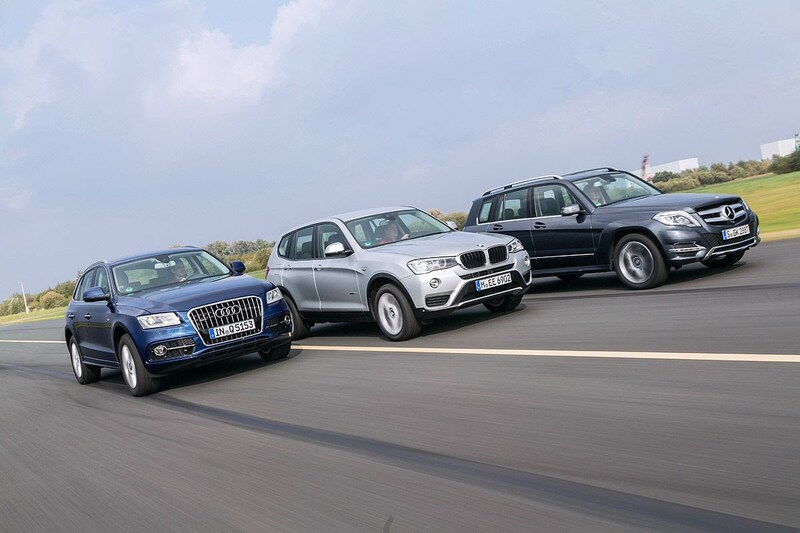 The Premium Mid-sized SUV segment grew by 38% in 2015 to 362.817 vehicles, adding more than 100.000 sales to its 2014 volume, with only one remaining model losing volume and eight setting new volume records as luxury buyers are shifting away from sedans to crossovers. The segment leader Cadillac SRX breaks its volume record in the 13th and last full year of the nameplate that spans two generations. Cadillac’s best selling model will be replaced by the XT5 in 2016, and the brand surely hopes to continue the upward trend.The Audi Q5 has been on the market for 7 years now, and has managed to improve its sales volume in each of those years, making 2015 the best year so far for the model, helping it move past the Acura RDX into the segment #2 spot. Similarly, the RDX also has shown volume growth for six consecutive years and scores its highest volume ever. The premium midsized SUV segment in Europe was red-hot in 2015, growing 25% to 366.008 sales as all remaining nameplates but one show volume improvements and two newcomers have stormed up the charts. After flamboyantly taking control of the segment last year, the Volvo XC60 consolidates its leadership by growing only slightly slower than the rest of the segment and blasting past last-year’s record sales for the already 7-year old model. The XC60 has grown by 67% in two years time thanks to its facelift and the introduction of new, four-cylinder engines. The Audi Q5, just as old as the XC60, improves its sales for the third consecutive year, albeit by a more modest 6%. That means the Q5 still increases the gap to the #3 Range Rover Evoque, as that model is up by just 2% as customers were waiting for the facelifted version to arrive in showrooms. When that happened, the Evoque was up 11% in Q4. The Premium Mid-sized SUV segment grew by 33% over the first three quarters of 2015, and an impressive 48% in Q3. Sales of premium midsized SUVs in Europe slow down their impressive growth rate in Q3, with sales up 13% for the quarter, compared to 29% in the first half of 2015. This means the segment has already added over 50.000 units of volume so far this year. Much of this growth comes from new entrants to the segment, but also from the segment leader this year: the Volvo XC60. With an increase of 29% and almost 13.000 added sales, the XC60 looks unbeatable for the rest of the year , even though the Audi Q5 outsold it in August and was only 1.000 units behind in the third quarter. The Premium Midsize SUV segment grew by 26%, less than the smaller, Compact segment but faster than the Premium Large SUV one. The main driver of this growth has been the introduction of new models such as the Lexus NX, Lincoln MKC and BMW X4, though most existing models also experienced a healthy growth rate. With the new Mercedes-Benz GLK about to go on sale, and the new Audi Q5 and Cadillac SRX just around the corner, all signs point to growth in this segment continuing for a while yet.